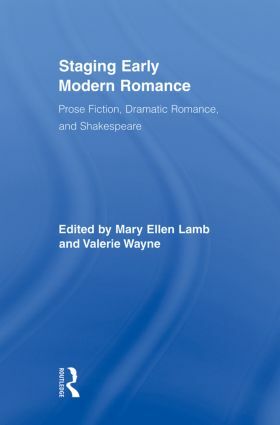 This collection recovers the continuities between three forms of romance that have often been separated from one another in critical discourse: early modern prose fiction, the dramatic romances staged in England during the 1570s and 1580s, and Shakespeare’s late plays. Although Pericles, Cymbeline, Winter’s Tale, and The Tempest have long been characterized as "romances," their connections with the popular prose romances of their day and the dramatic romances that preceded them have frequently been overlooked. Constructed to explore those connections, this volume includes original essays that relate at least one prose or dramatic romance to an English play written from 1570 to 1630. The introduction explores the use of the term "dramatic romance" over several centuries and the commercial association between print culture, gender, and drama. Eight essays discuss Shakespeare’s plays; three more examine plays by Beaumont, Fletcher, and Massinger. Other authors treated at some length include Boccaccio, Christine de Pizan, Chaucer, Sidney, Greene, Lodge, and Wroth. Barbara Mowat’s afterword considers Shakespeare’s use of Greek romance. Written by foremost scholars of Shakespeare and early modern prose fiction, this book explores the vital cross-currents that occurred between narrative and dramatic forms of Greek, medieval, and early modern romance.